Transformer’s are what my now 5 year old is obsessed with. 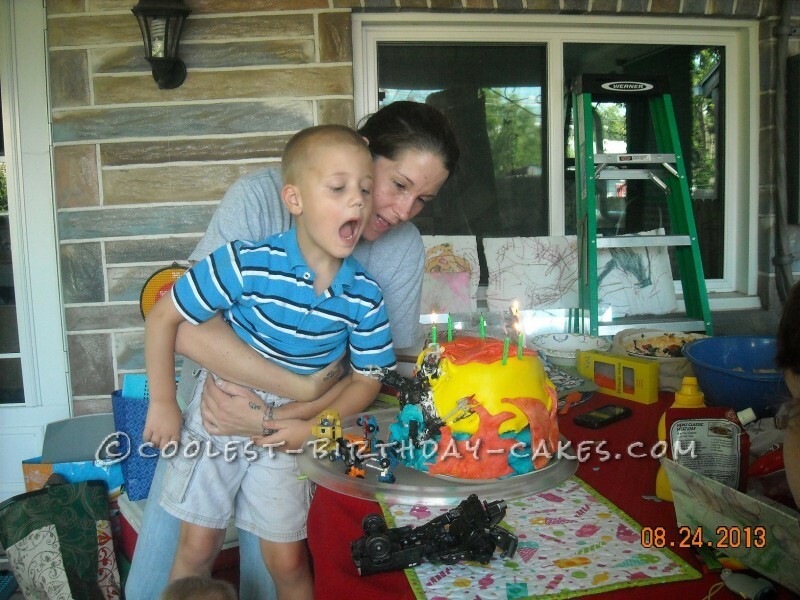 I made him a Transformer’s cake last year (it’s on here) and he wanted another one. I had no idea what to do with this one so I looked at a bunch of cakes and just went at it. He has been wanting the character Scorponok, from the movie, so I found one for a steal on eBay and incorporated it in. I made a chocolate fudge cake that is my go-to cake recipe. Made the marshmallow fondant from bakingdom.com (THE BEST I HAVE FOUND). Colored the fondant and started throwing it together. It kind of just evolved…. 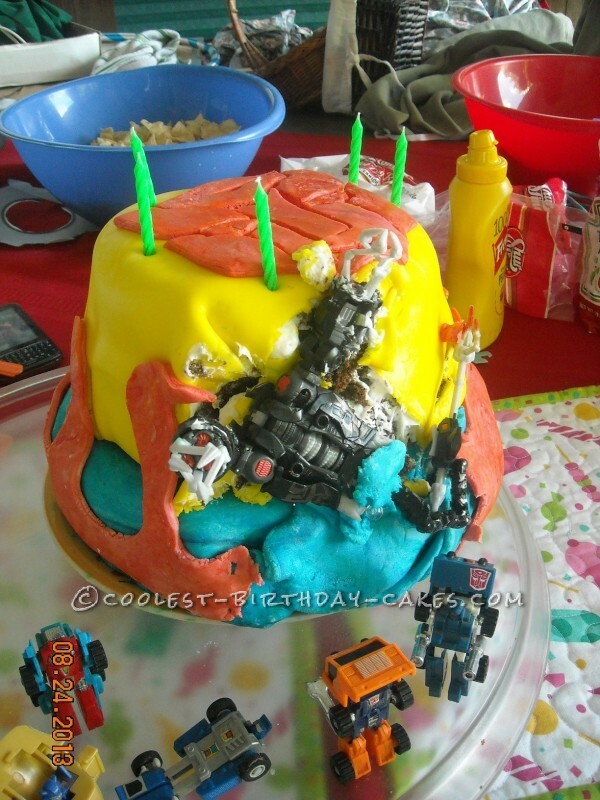 printed an autobots symbol and put it over the rolled out fondant, then used an exacto knife to cut out the pattern. Once the symbol was cut out, the paper pealed off and presto- an auto bot symbol. He loved it!! 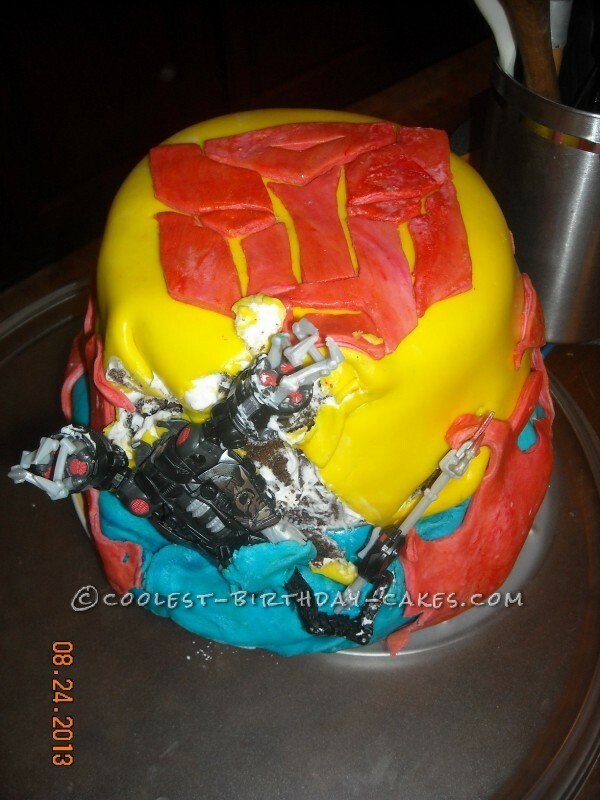 Especially the Transformer that ‘destroyed’ his cake.